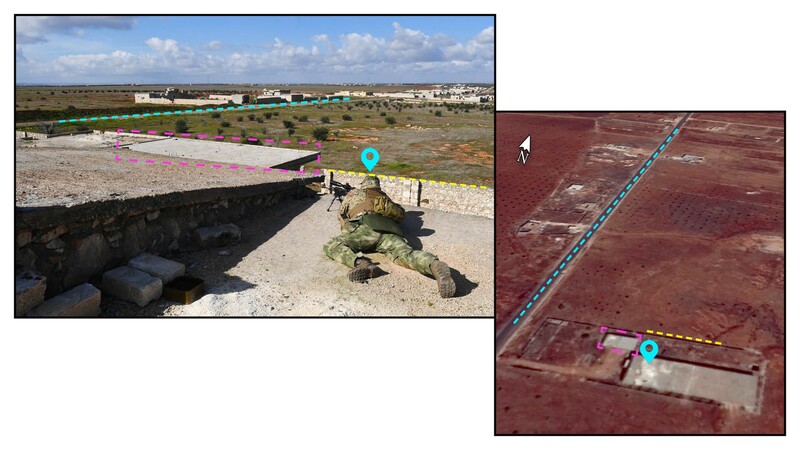 The Wagner Group is not the only team of Russian mercenaries operating in Syria, according to the latest open-source evidence. The activities of the Wagner Group private military company (PMC) continue to draw attention from the international intelligence and research communities. Over the past few years, the name “Wagner” has become synonymous with mercenary activity across the world. Syria, however, remains one of the highest profile conflicts in which Wagner mercenaries are most active. Recent photographs on VKontakte (VK), a Russian social-media platform; Twitter; and other platforms reveal the activity of another Russian PMC, Vegacy Strategic Services LTD, also known as Vegacy or Vega for short. This group reportedly participated in the training of Liwa al-Quds, a pro-Assad Palestinian fighter group. Until now, Vegacy’s presence in Syria had not been verified, though rumors have circulated for a number of months. Photos that recently surfaced on various social-media platforms, however, have now allowed the DFRLab to confirm Vegacy mercenaries’ presence in Syria. Who Is Vegacy PMC LTD? Vegacy is a Russian PMC that, according to its website, provides comprehensive security, armed maritime security, and special training services. Their official website mentions that the company is headquartered in Cyprus, with additional offices in Russia and Syria, as well as official representatives in the United Kingdom, Germany, and Thailand. While there are traces online of a few brief investigations of the group conducted by independent researchers, the majority of the group’s activities and operational protocol remains shrouded in mystery. According to various social-media accounts, Vegacy established its presence in Syria as early as October 2018. The DFRLab, however, found no open-source evidence to confirm these claims. According to various reports, the contractors have been focused on training the Liwa al-Quds militia, reportedly in both Aleppo and Hama. The social-media users that posted the most photos of their activity were Военный Осведомитель (“Military Informant”) on VK and Rob Lee on Twitter. 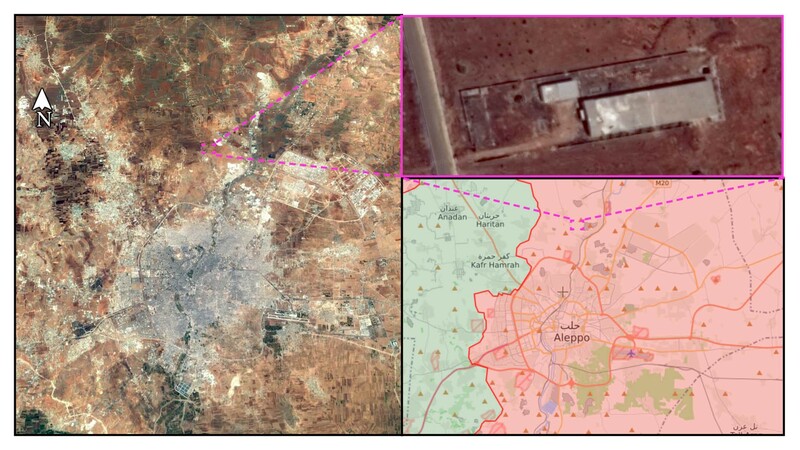 Some of the photos posted suggested that they were taken in the vicinity of Aleppo and Hama, yet the DFRLab found no conclusive evidence in support of these claims. На передовых позициях "Лива аль-К..
A video also surfaced on YouTube that showed Liwa al-Quds operating in the area of al-Mallah, just north of Aleppo. The video did not show Vegacy contractors but showed buildings and military equipment that matched those in the photos on VK and Twitter. The Caucasian men shown in the photos usually had their faces covered with balaclavas. The military insignia patches visible on their uniforms matched the Vegacy logo featured on the company’s website. The Aleppo region’s relative scarcity of significant landmarks complicated the geolocation process for these photos. After the search zone was limited to the area of al-Mallah, per comments on social media, the DFRLab was able to conduct a manual geolocation process to identify the location. The fenced area seen in the videos contained two buildings, one of which was used as a garage. The buildings in question appeared to be north of Aleppo, in the area of al-Malleh. A photo of a fighter aiming a sniper rifle on a roof provided a better view of the area. The building appeared to be a garage in which Liwa al-Quds stored some of their fighting vehicles. This photo provided additional confirmation of the Vegacy PMC’s presence near Aleppo. 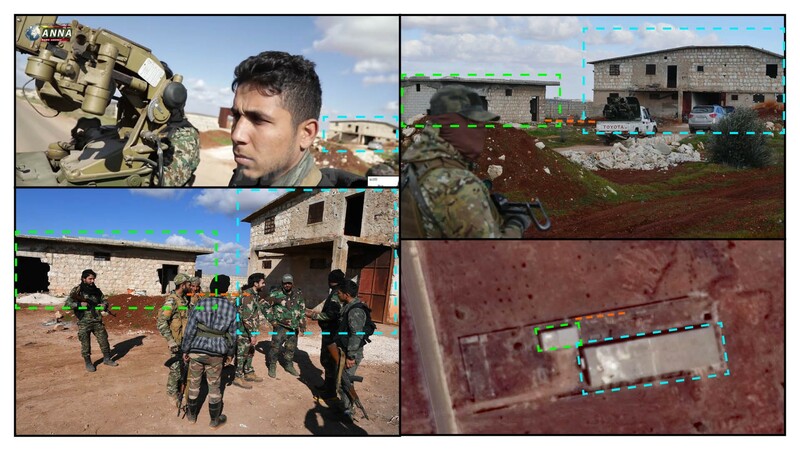 Due to insufficient detail in the background of the images, the DFRLab could not geolocate a second set of photos that would potentially confirm that Vegacy contractors were also present in the Hama region. The Wagner Group is currently attracting the majority of online attention from the research community, in both Syria and beyond. Other Russian PMCs, however, are also operating in the region, and their activities are thus far proceeding largely unmonitored. 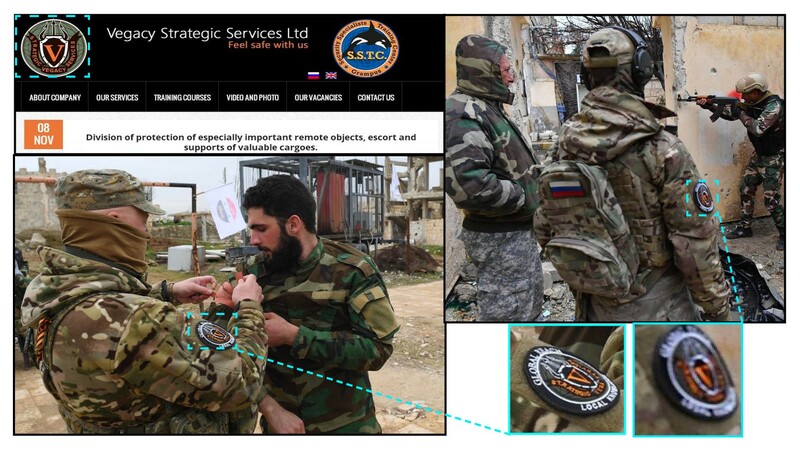 Through the surfaced photos of the Vegacy contractors, the DFRLab confirmed the group’s presence in Syria. Information about the group’s operational scope in Syria remains limited, however. Thus far, Vegacy contractors appear to only be involved in training the Liwa al-Quds fighters, rather than directly engaging in combat operations. The DFRLab will continue to monitor significant Russian operations, exercises, and military developments. Lukas Andriukaitis is a Digital Forensic Research Associate at the Atlantic Council’s Digital Forensic Research Lab (@DFRLab). Follow along for more in-depth analysis from our #DigitalSherlocks.